Heading that direction, the original north end of US 287 was at the south entrance to Yellowstone. 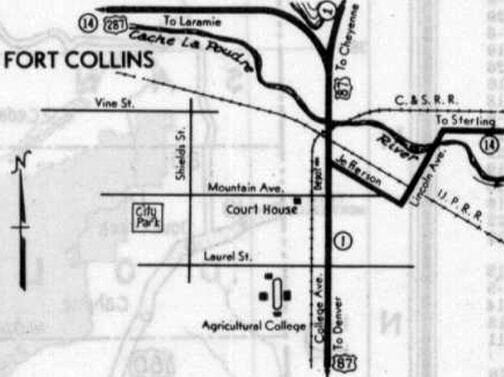 In 1940, the US 287 designation was extended south and east along its present course, through Denver and all the way to its current southern terminus in Port Arthur. 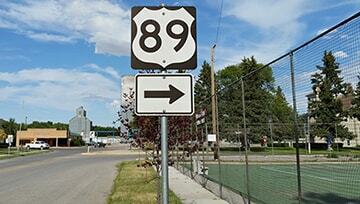 Northbound US 89 is actually to the left, but drivers can no longer turn that direction. 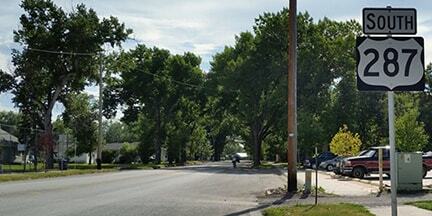 Instead, all traffic must follow what essentially amounts to a one-way rotary around the courthouse. 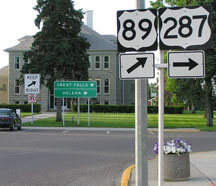 As of 2011, no further US 89 shields were posted ahead. Only the control points "Great Falls" and "Glacier National Park" precede the gore that separates northbound and southbound US 89 traffic, which is a bit underinformative. last updated Dec. 18, 2017.